Did you know there are dozens and dozens of great resources on Costa Rica for expats and investors? 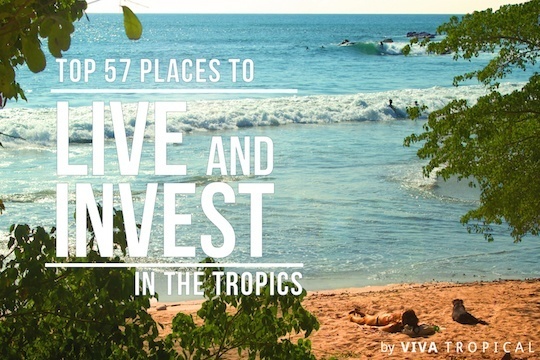 Sure, we have a ton of resources for Costa Rica on our site, and a whole bunch of Costa Rica real estate for sale, but that doesn’t mean that there aren’t other really good ones out there! Check out this list of the top Costa Rica websites! Most of the Costa Rica Blogs are by expats. From them, you’ll get a great perspective from the ground. If you notice quite a few differences in perspectives in them, that’s because everyone’s experience is different in Costa Rica! Live in Costa Rica – Now you want to move to Costa Rica…great! Find out first-hand why Costa Rica is the top choice for more Americans than any other country outside of the U.S.
Live Abroad in Costa Rica – Get honest, practical, and real world advice about making the move to Costa Rica. Site includes expat interviews and relocation do’s and dont’s along with an immense gallery of photos. The REAL Costa Rica – This is your go-to blog if you want REAL advice about moving, visiting, or traveling to Costa Rica. Retire for Less in Costa Rica – Have you already fallen in love with the idea of retiring to Costa Rica or you are just getting starting on your dream of making your home in a place where your money will go further? Then this website is for you. Costa Rica Chica – Quit your job, simplify your life, move to Costa Rica! That is just what Jen of Costa Rica Chica did. If you dream of the same, cutting loose and living life unrestricted, this blog is for you. 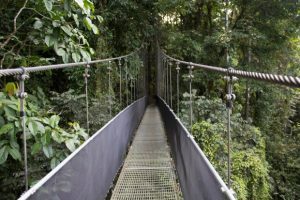 Costa Rica Travel Blog – Costa Rica Travel Blog is the current traveler, will-be traveler, has-been traveler, and should-be traveler’s guide to everything Costa Rica. Costa Rica Curious – A personal view of living in Costa Rica by an intentionally unemployed, early retiree who hopes of living a more healthy life; one filled with adventure and without the “Earn More, Buy More” trappings of North America. Family Freedom Project – This is an extensive blog! If you are remotely thinking about picking up your family and becoming expats, then within these pages you will find all you need to know about living abroad with your kids in Costa Rica. Doin’ Costa Rica – Get the good, the bad, and the ugly of living in Costa Rica, along with the personal perspective, experience, and expertise of two who are living it every day. Diana’s Costa Rica Blog – Follow Diana’s tale of moving from British Columbia, Canada to Costa Rica with husband and cat in tow. De la Pura Vida – Adventures of a 30-something expat enjoying the good life in Costa Rica. Gringos in Paradise – Thinking about retiring to Costa Rica? Then you will want to check out Paul & Marilyn’s Retirement Adventure blog, Gringos in Paradise. It’s all about retiring to Costa Rica from an expat’s point of view. Costa Rica Lifestyle Blog – Your local source for info on the Costa Rica lifestyle, real estate news, property management information, and more from Dominical Property. Costa Rica Happy – One of the most honest blogs you’ll see on the web on moving, living a new life and starting a new business in Costa Rica. Costa Ballena Living Magazine – An online magazine that focuses on homes and lifestyles in Costa Rica’s South Pacific area. Nosara Spanish Institute – If you’re thinking of moving to Costa Rica, then learning how to speak the native tongue will definitely come in handy. Good thing that Nosara Spanish Institute offers courses for both Spanish and English. Yeah, real estate is our main focus at Viva Tropical. 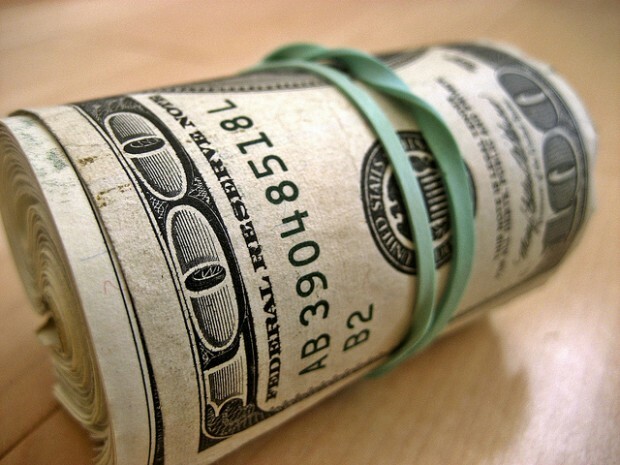 But that doesn’t mean that there aren’t tons of other great Costa Rica real estate companies. 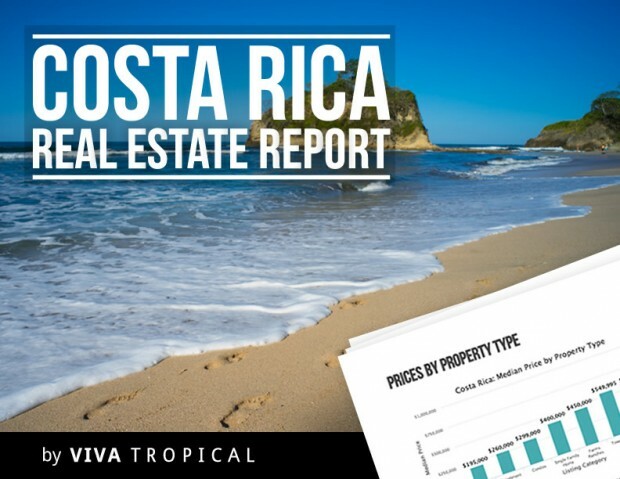 Costa Rica Real Estate by Viva Tropical – You didn’t think we would make a list like this without adding our own properties, did you? We have hundreds of properties, so check ’em out! Costa Rica Real Estate Service – These full brokerage offices are located in the coastal town of Dominical, Costa Rica, in the South Pacific part of the country. If you’re looking for someone who knows the Pacific Southern Zone of Costa Rica, Casey is a great choice. 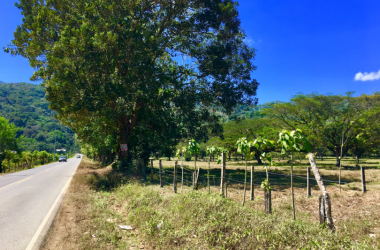 The Nosara Real Estate Report – Get a personal and thorough analysis of past performance, current trends, and future potential of everything real estate in Nosara, Costa Rica. 2 Costa Rica Real Estate – Luxury real estate listings, dedicated staff, 2 Costa Rica Real Estates provides everything from detailed travel itineraries for investors, to sales, legal consulting, development oversight, and all aspects of the real estate transaction process. Coldwell Banker Vesta Group – Coldwell Banker® Vesta Group is a national and regional leader in real estate. Their brokers are Coldwell Banker International Previews® Specialists, members of the National Association of Realtors®, and Certified International Property Specialists (CIPS). 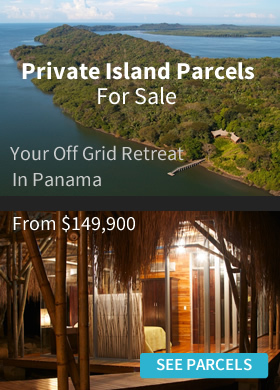 They specialize in Costa Rica luxury real estate and income properties. We have worked with them personally and they are a great choice for the Southern Zone. Costa Rican Real Estate – Rod and Ben make up Costa Rica Real Estate which focuses on Costa Rica’s southern Pacific coastal zone. They might be (they say) “the” longest running real estate blog in Costa Rica, with both real estate news and their personal observations of what it’s like to live in Costa Rica. Properties in Costa Rica – With offices in three top regions of Costa Rica, San Jose, Uvita, and Pavones, you will have access to the top investment destinations in Costa Rica. Remax Ocean Surf (Tamarindo, Costa Rica) – Remax Ocean Surf is located in the much-sought-after Tamarindo Beach area, in North Pacific Guanacaste Gold Coast, but also have real estate offices and agents in all areas of Costa Rica. First Choice Costa Rica – With daily updates to their listings, these guys have all sorts of listings available for review and with over 10 years of living in Costa Rica, they know the ins and outs of Costa Rican destinations, developments, and property listings. Remax Tres Amigos – This Remax team specializes in the much-sought-after Papagayo region, located on the Northern stretch of Guanacaste, which is home to the tranquil beaches of Playa Ocotal, Playas del Coco, Playa Hermosa, and Playa Panama. 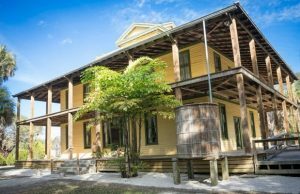 Tank Tops Flip Flops – Part blog, part real estate, this site has all sorts of useful resources for Costa Rica life & real estate. Century 21 Tambor Hills – Century 21 Beach Area Properties offers real estate listings in Playa Tambor, Montezuma, Malpaís, and Santa Teresa along with other coastal areas on the Nicoya Peninsula. Jaco Costa Rica Property – Focus is on luxury Costa Rica real estate throughout Jaco, Los Suenos, Herradura, Hermosa, Esterillos, and the Central Pacific Coast of Costa Rica. Tico Vista – A complete buy or sell real estate site for Costa Rica that also offers a blog, business directory, and general information. Definable one-stop shopping for all there is Costa Rica. Costa Rica Retirement Vacation Properties – They offer a unique approach to real estate in Costa Rica by creating a countrywide real estate alliance with offices strategically placed in Costa Rica’s most popular and profitable real estate regions. Moran Lake Arenal – These guys are the oldest real estate agents in the Lake Arenal region who only specialize in Lake Arenal properties, from Fortuna to Tilaran and all points in between. Karen Real Estate – If you are looking for a Costa Rica real estate consulting company, then Karen Real Estate might be the first place you should look. Century 21 Tropical Breeze Costa Rica Real Estate – Century 21 Tropical Breeze Realty specializes in real estate in Quepos, Manuel Antonio, and surrounding areas on the Pacific Coast of Costa Rica. Affordable Costa Rican Real Estate – Specializing in the under $250,000 market and often sell homes in the $50,000 to $85,000 price range. You don’t have to be a Tico to buy at Tico prices, buy affordable, they say. Costa Rica Estate Store – Licensed agents who focus on the North Pacific Coast of the Guanacaste Province – between Avellanas and the new Las Catalinas Project, which includes Langosta, Tamarindo, Grande, Conchal, Brasilito, Flamingo, Potrero, Penca, and Sugar Beach. We Love Costa Rica – More than a real estate site, they offer lifestyle and retirement advice as well as real estate listings. Coldwell Banker Santa Ana – Santa Ana, a municipality of San Jose, Costa Rica is quickly becoming one of the much-sought-after areas in Costa Rica for vacationers, investors, and migrating families. Go Dutch Realty – Offering one of the widest real estate collections for those individuals looking into buying residential real estate in Costa Rica as well as luxury residential properties. Costa Rica Tropical Paradise Properties – Looking to buy or sell your property in Alajuela, San José, Heredia, Guanacaste, Puntarenas, Limón, or Cartago, Costa Rica? 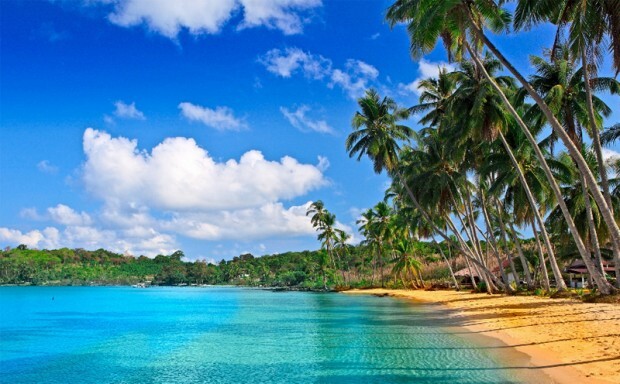 Then check out Tropical Paradise Properties. Tropisphere – Tropisphere Real Estate of Costa Rica sells properties throughout Costa Rica, but specializes in the Southern Nicoya Peninsula, Costa Rica, a fast-growing investment area. 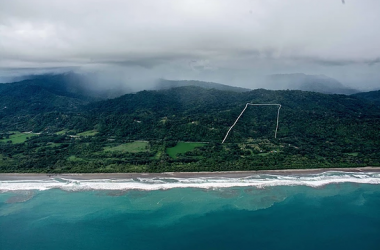 Costa Rima – Offering real estate services to the off-the-real-estate-beaten path of Santa Teresa, Costa Rica, a small surfing town in the province of Puntarenas on the Nicoya Peninsula. Montezuma Real Estate – Boasts they are home to the most listings of any real estate agency in Montezuma, as well as offering hundreds of listings in the neighboring areas of Santa Teresa, Malpaís, Playa Hermosa, Tambor, Manzanillo, and Cabuya. Coldwell Banker Tamarindo – Coldwell Banker® Tamarindo specializes in beach front properties in the Tamarindo area. Coastal Realty Costa Rica – They specialize in vacation rentals and property investments in the coastal area of Costa Rica. You might be surprised to find hotel websites on the list. But the fact is that lots of them are run by expats. And many have valuable information on their websites and blogs. Plus, who wants to stay in a chain hotel when scouting the tropics?! 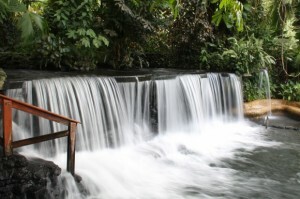 The Springs Resort and Spa – Five Star Costa Rica Luxury Hotel in La Fortuna with Hot Springs. Harmony Hotel – Located on one of Playa Guiones’ best surf breaks with consistent year-round waves, the Harmony is ideal for a surfing adventure. Villa Tortuga Nosara – Close to the laid-back town of Nosara, Playa Guiones is an ideal nature lover’s getaway. Cala Luna Boutique Hotel – Located in secluded Langosta Beach, Tamarindo, Cala Luna Boutique Hotel is Costa Rica’s premier luxury boutique hotel on the beach. El Sol Monteverde Cloud Forest – Featuring log cabins, El Sol, located ten minutes down the mountain from Santa Elena, is a quiet, mountain escape. Finca Luna Nueva Lodge – A sustainable rainforest eco-lodge hotel located only 35 minutes from La Fortuna, the eco-adventure capital of Costa Rica, and home to the active Arenal Volcano. Lapa Rios Eco Lodge – Featuring 16 open-air bungalows nestled on a ridge in their 1000-acre private Rainforest Reserve in the Osa Peninsula. Pacuare Jungle Lodge – Pacuare Lodge is deep in a rainforest overlooking the Pacuare River, listed as one of the National Geographic top ten scenic rivers. Nayara Hotel – Listed as the number 1 resort in Central America by Conde Nast Traveler, this sustainable, eco-friendly hotel is located close to Costa Rica’s pristine Arenal Volcano National Park. Arenas del Mar – Talk a walk from this beachfront and rainforest resort to the famous Manuel Antonio National Park. Arenas Del Mar caters to those looking for more than the typical luxury hotel experience. Hotel Punta Islita – Hotel Punta Islita is part of Grupo Islita, a boutique hotel company dedicated to sustainability and showcasing Costa Rica’s natural and cultural treasures. Florblanca – Situated on Costa Rica’s Pacific coast, Florblanca is perfect for the adventurous traveler who desires the tranquility of the Nicoya Peninsula beaches. El Silencio Lodge and Spa – The perfect retreat for travelers seeking a break from the stress of daily life. Located in Bajos del Toro, Alajuela, Costa Rica. Le Caméléon – Found in the remote area of Puerto Viejo, Le Caméléon is the only upscale lodging in this rustic spot in Costa Rica. Oxygen Jungle Villas – This small-scale, Balinese style boutique resort hotel is located in Uvita, in the middle of the Costa Ballena, Costa Rica’s top South Pacific destination. 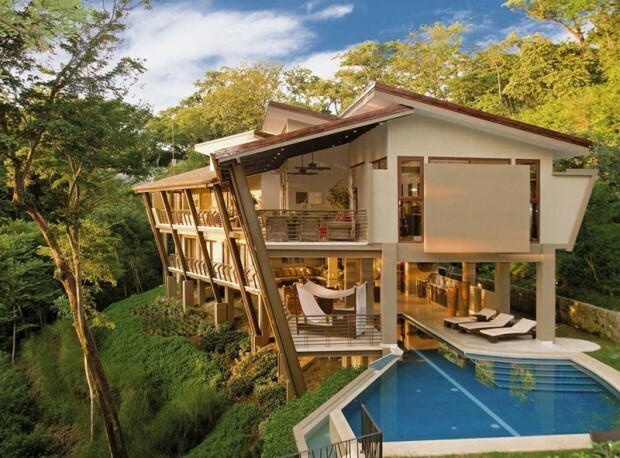 Villa Caletas – Located on a rainforest hilltop in the Central Pacific coast of Puntarenas Costa Rica and features a tropical Victorian architecture. Monte Azul – This is Costa Rica’s mountain resort found on a private mountain reserve near the highest point, Chirripó National Park, in Costa Rica. Blue River Resort – Enjoy private natural mineral “green” hot springs, swimming pools, and botanical gardens at Blue River Resort, located at Rincon de la Vieja, Liberia, Guanacaste, Costa Rica. Hotel Luna Azul – Luna Azul is the perfect retreat and observation point for sea turtle migration since it is in close proximity to the world famous turtle beach of Ostional on Costa Rica’s northwest Pacific Coast. Hotel Entre Dos Aguas – Located in Samara, a half moon bay facing south towards Isla Chora in the Pacific Ocean, Playa Samara is loved by Costa Ricans due to the mellow waves and long stretch of beach; this is the perfect budget-friendly boutique hotel. Adventure Park and Hotel Vista Golfo de Nicoya – Home to some of the greatest adventure tours in Costa Rica, Adventure Park & Hotel Vista Golfo offers tailored packages, affordable accommodations, and canopy tour adventures. Arenal Volcano Inn – Every guest enjoys a view of the Arenal Volcano from their private terrace at this 25-room hotel known for its views and tranquil gardens. Rio Magnolia Nature Lodge – Nestled between Manuel Antonio Park and the Osa Peninsula, Río Magnolia is a rainforest eco-lodge in the southern Pacific surf town of Dominical. TikiVillas Rainforest Lodge – See a sloth or birdwatch at TikiVillas Rainforest “Balinese Style” Eco Lodge which features nine bungalows hidden within the rainforest of Osa near Uvita, Costa Rica. Sabalo Lodge – Monkeys, toucans, frogs, and morpho butterflies great you at Sabalo Lodge, which sits next to the Sierpe River, in Osa Peninsula. Finca Exotica Lodge – Listed as the only beach lodge located near Costa Rica’s Corcovado National Park, Finca Exotica Lodge features eco-adventures and rainforest activities. Ojo del Mar – This small, eco friendly retreat is carved out between the beaches and the rainforest of Osa Peninsula. La Baula Lodge – La Baula Lodge is a remote, rustic lodge located in the jungle of Tortuguero, Costa Rica. This family-owned lodge offers 45 basic standard rooms and an unforgettable experience. Geckoes Lodge – Geckoes Lodge offers two holiday houses with private plunge pools in the Caribbean Coast rainforest and only minutes from some of the world’s most beautiful beaches. Located in Puerto Viejo along the South Caribbean Coast of Costa Rica. Turtle Beach Lodge – Turtle Beach Lodge in Tortuguero National Park spans 175 acres and encompasses miles of jungle trails, a meandering private canal, and a half mile of isolated beach on the Caribbean Sea. La Leona Eco Lodge – A great place for nature lovers, La Leona Eco Lodge sits next to the Corcovado National Park and in La Leona Ranger Station. Featuring tent-cabins which give you a real ecotourism experience. 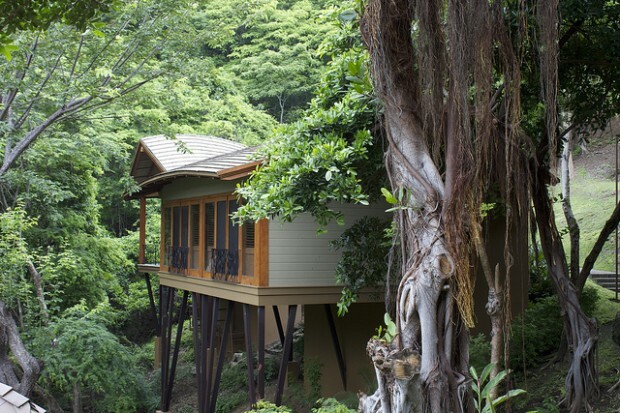 Los Pinos – Fully-equipped cabins located in the popular ecotourism destination between the Santa Elena and Monteverde Reserve. Wanna know what’s happening news wise in Costa Rica? Here are some of the top sites. These are English only. This Week in Costa Rica – Costa Rica’s only weekly English podcast news site, here you will have access to all the happenings and going-ons in Jaco Beach, Costa Rica. American Expatriate Costa Rica – Providing English news and expat views on the happenings inside and outside Costa Rica. Inside Costa Rica – Costa Rica’s English language news source since 2002. Costa Rica News – A summary of the news around Costa Rica. Costa Rican Times – One of Costa Rica’s most popular online, English only newspapers. 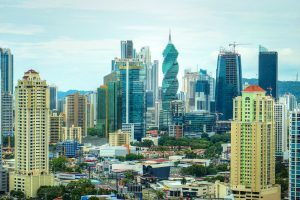 Costa Rica News Site – News service provided by Costa Rica Vacations, a local travel agency located in Tamarindo, Guanacaste and CRREC, a top Costa Rican real estate agency. Que Pasa – A web resource for the English-speaking community located in Grecia, Costa Rica. Atenas Today – A free English language e-magazine for the residents and those looking to move to Atenas, Costa Rica. Q Costa Rica – An independent news media portal featuring news of Costa Rica, Central America, as well as Latin America. Today Costa Rica – English language news for those living in Costa Rica. iNews Costa Rica – Features current affairs of Costa Rica. Nosara Newspaper – Local newspaper for those living in Nosara, published on a monthly basis. Tourism companies? Yep, lots of good info for would-be expats and investors. Surfing Nosara Costa Rica – Nosara’s original surf resort and travel information. Pura Vida eh – Deep discounts on hotels, tours, and Costa Rica vacation packages from inside sources. Must -see for those planning a trip to Costa Rica on a budget. Tourism Costa Rica – Offers tours from rainforest to lush tropics, and mountain vistas to eco-tourism adventures. Visit Costa Rica – The official travel site of Costa Rica. Costa Rican Trails – Specializes in distinctive Costa Rica vacations. Visit Nosara – Vacation rentals, trip planning, and real estate information in Nosara, Costa Rica. Blue Spirit Yoga – Offers yoga retreats to Nosara, hip holistic hotspots on the planet, they say. Safari Surf School – One of the top all-inclusive surf vacations in Costa Rica since 1998. Costa Rica Outdoors – From sport fishing, zip line tours, and rafting, Costa Rica Outdoors covers every adventure you could imagine. Costa Rica Travel Blog – What to know before you go. Vacations Costa Rica – Customized vacations to Costa Rica – in one site. 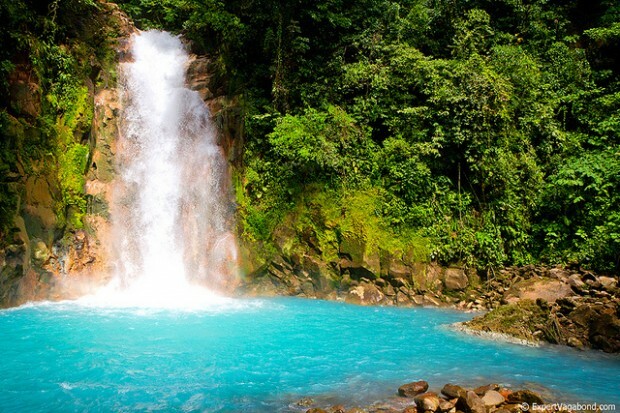 Enter Costa Rica – Plan a custom trip to Costa Rica; your gateway to a tropical paradise! Travel Costa Rica Now – Offers unique, customized travel options. Smart Costa Rica – To avoid package tours and take a personalized adventure, start with Smart Costa Rica. Monteverde Info – Professionally run tours to Costa Rica’s famous cloud forest. Costa Rica Connection – Your connection for a honeymoon escape. Costa Rica Travel Information – Offers tips and tricks on making the most out of your visit to Costa Rica. Costa Rica Guides – Official Costa Rica travel directory; listing accommodations, activities, and location information. Costa Rica Surf – Listed as the best place to check the surf conditions in Costa Rica. 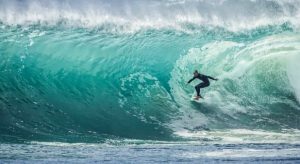 Costa Rica Surf Club – Found in Tamarindo Beach, offers surfing services such as Surfboard Rentals, Surf School, Surf Trips, and Surf Camp packages. Adventure Costa Rica – Offers adventure itineraries for over 20 years to thrill seekers heading to Costa Rica. Costa Rica Tourism – Here you will find lots of info on visiting Costa Rica, from weddings to surf conditions. Sustainable Tourism Costa Rica – The official site of sustainable tourism in Costa Rica. Costa Rica Bureau – One of the best when it comes to offering comprehensive Costa Rica travel information. Green Way Nature Tours – Book with them and your tour will involve nature, field studies, local cultures, and wilderness adventures. 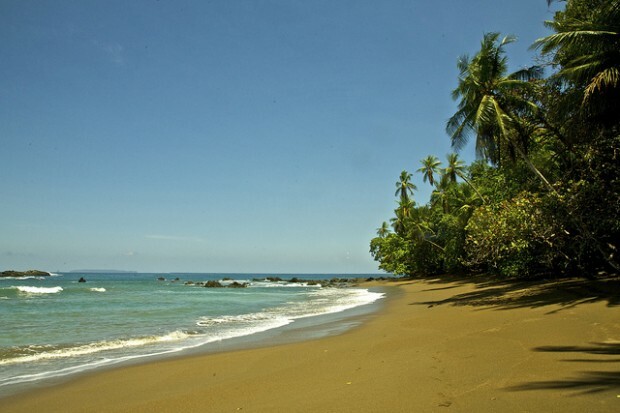 ATEC Ecotourism Puerto Viejo – One of Puerto Viejo’s original eco-tourism providers. Costa Rica Scuba Diving – Small diving groups and PADI divemasters take you to some of the best dive spots in Osa Peninsula. Chill Expeditions – Take an educational vacation when you immerse yourself in Costa Rica’s language, culture, history, ecology, on a Chill Vacation. Horizon Pacific Vacations – Costa Rica vacation rental homes for every occasion. 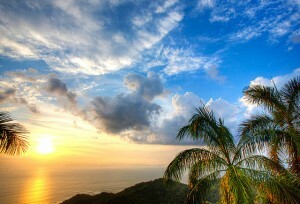 Manuel Antonio Vacation Rentals – Features a select number of rentals at Costa Rica’s most sought after eco-destination. Mucha Costa Rica – A great travel portal for anyone who wants to experience the best of Costa Rica – from eco-adventures to local festivals. Get to Costa Rica Tours – From multisport, exotic adventures, transportation and accommodation, they almost have it all. They’re a different kind of tour company. Samara Info Center – Provides useful resources and information about vacation, rentals and restaurants in Samara beach and Carrillo beach. Bike Arenal – If you’re up to more extreme adventures, this site offers multisport and mountain bike adventure tours and services. Vacation Buggy – Thousands of tourists have already availed their ATV excursion packages for the past 2 and a half years. Experiencing great off-road adventures to see Costa Rica’s best waterfalls, beaches and riverbeds is certainly what Vacation Buggy is widely known for. Costa Rica Vacation Properties – They offer deals and discounts for the most luxurious vacation properties in Costa Rica. 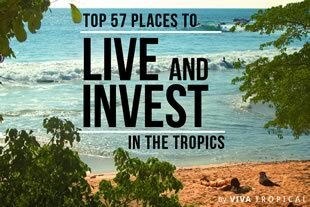 Costa Rica Articles and Research by Viva Tropical – We’ve written dozens of articles and guides about investing and living in Costa Rica. So of course we are going to add them to our list; give them a look, we are certain there isn’t much about Costa Rica that you won’t find on those pages. Costa Rica – Looking for a one-stop spot for information on travel, relocation, business, real estate, weather, and more? This might be your first click. Association of Residents of Costa Rica – Moving to Costa Rica can be a challenge, but for over 25 years the ARCR has assisted those living or retiring in Costa Rica and those considering moving here. Nosara Costa Rica – A complete listing of the happenings, services, and activities for the Nosara beaches of Guiones, Pelada, and surrounding areas. Arenal Volcano – The site is dedicated to providing you with information about the Arenal Volcano and the surrounding area. Costa Rica Guide – Home to free travel advice and one of the best maps of Costa Rica, this site offers way more than your common tourism information. Malpaisnet – All you ever wanted to know about Malpaís and Santa Teresa, Costa Rica. 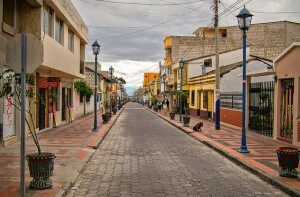 Santa Teresa – This site lists everything from accommodations, to history and activities in Santa Teresa, Costa Rica. CRneeds – Almost everything you need to know when traveling or moving to Costa Rica is here, from automotive rental, restaurants, nightlife, up to wedding services. Que Buen Lugar – This enterprising group of Ticos have uploaded their videos and photos to create a wealth of travel info for those looking for a more local perspective on visiting Costa Rica. Did we miss your site? If you have a great site about Costa Rica and think it should be on this list, give us a shout, and we’ll review it for you! This list of blogs is really a fine effort on your part. With your permission, I will circulate the list to clients of our law firm, when they ask for information on the country. We would like to be included in your list of real estate website. How? My wiife Margot and I are so interested in relocating the to Athenas Costa Rica..from Switzerland-we are tired of the long Swiss winters and work,work,work life style here. But when we settle into Costa Rica, we would like to start our own small business. Me? I’m a recording studio musician, engineer, and producer- and I would like to make my recording studio available to the local ex-pats and Tico musicians in the Athenas area. also perhaps giving guitar, bass, drum lessons, playing live music locally..
light healing parlor all in one location. any of you ex-pats out there whom read this post we would appreciate any honest and positive replies/advices/comments. I posted the link to my studio..have a visit- hear some music 🙂 best wishes to you all.